The turmoil in Europe continued this week, with a new Greek government preparing to implement the European bailout plan, whilst a significant crisis unfolded in Italy. The leaders of Greece’s two main political parties agreed Sunday to form a new government under novel leadership. The agreement includes an explicit, time-limited mandate to implement the EU-IMF bailout plan before holding new elections and dissolving the former government. The next €8 billion, provided through the bailout package, will be distributed once the new government formally approves the implementation of the plan in writing. On Monday, negotiations focused on the leading candidates for the renovated Greek government. Candidates included the former European Central Bank Vice President, Lucas Papademos (who is currently the front-runner), as well as the director of the International Monetary Fund and former finance minister, Panagiotis Roumeliotis. Discussions about the nature and qualifications of the individuals who should serve in the interim government have caused delay in the execution of the negotiation; specifically, the debate is over the appointment of technocrats vs. politicians. Papademos is demanding that politicians lead the government, while the opposition leader, Antonis Samaras, insists on technocrats serving in the temporary command of the country in an attempt, he claims, to avoid the risk of political calculations by the interim government ministers. The distinction between politicians and technocrats is vitally important in the discussion of long-term, sustainable changes for Greece. According to a Reuters analysis, technocrats are seen by experts to have a relatively good record at pushing through reforms seen as tough but necessary” when there is a national consensus about what needs to be done. A technocratic led government will likely insulate the popular backlash by the tougher austerity measures required to implement the European bailouts. 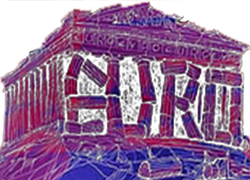 The problem in Greece, and throughout Europe, is the utter lack of consensus on the issue, as well as the nature of politicians to navigate and advance a dysfunctional political system during a campaign season. The crisis occurring in both Italy and Greece highlight the fundamental issue that the structure of the eurozone requires weaker economies and political systems, like Italy and Greece, to compete on the same level with Europe’s economic powerhouses like Germany. So far, the eurozone nations have yet to address this larger, overarching issue; but, needless to say, it inexorably requires a superior strategy than the quick-fix solutions currently being discussed.